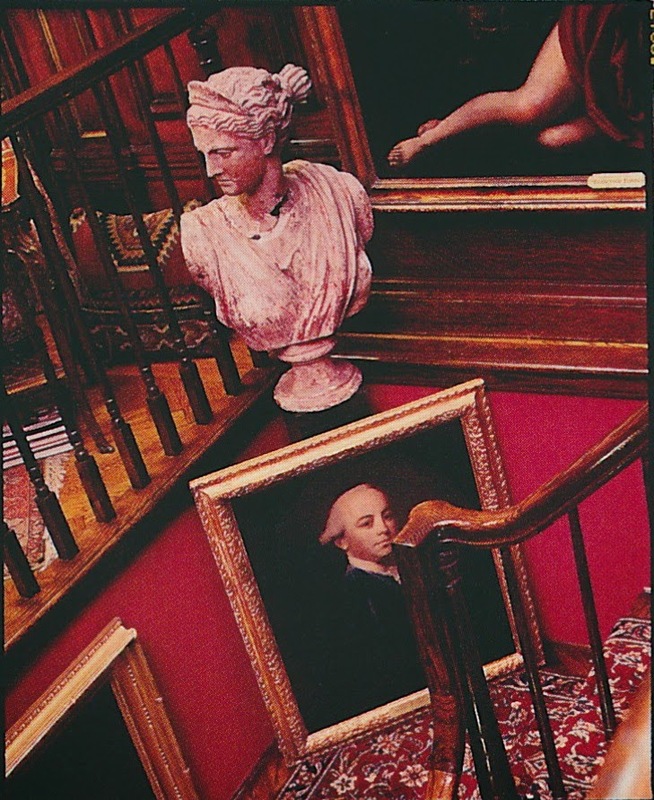 Most of my blog posts about designer and muralist Richard Lowell Neas have focused on Neas's penchant for and proficiency at trompe l'oeil decorative painting rather than his decorating. 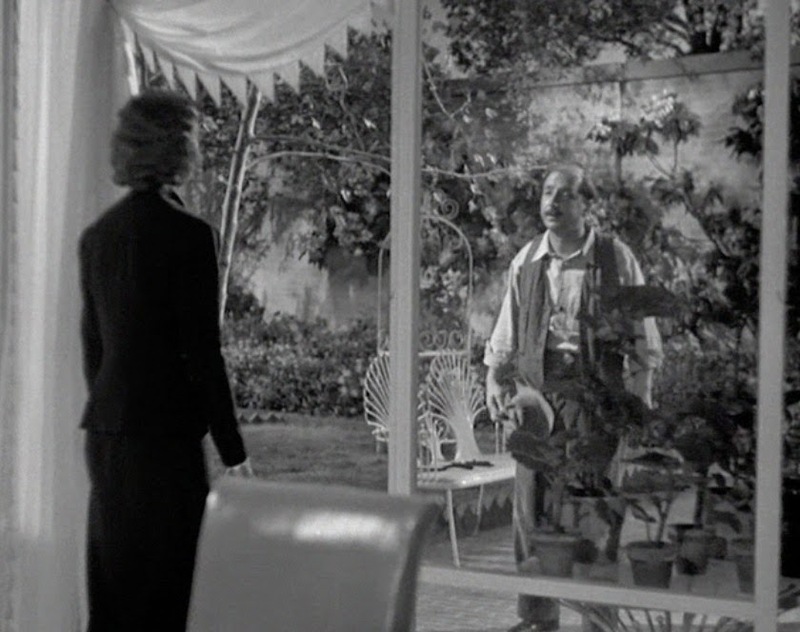 That's not to say that Neas was not a talented designer, because he was. 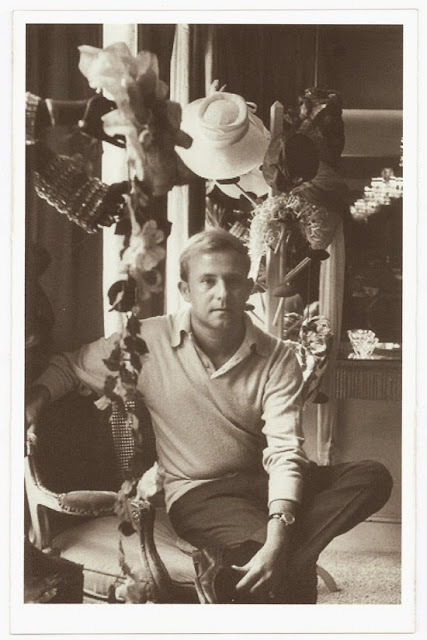 Neas's interior design work, which was frequently imbued with an unassuming elegance, reflected his innate flair and taste. And it's that flair, I think, that comes through brilliantly in his trompe l'oeil work. Trompe l'oeil painting tends to be of two varieties. One type is an attempt at mimicry so realistic that one has to touch and inspect the work to determine if it's real or not. Neas was a master at this type of painting, able to make wooden floors look like they were made of centuries-old stone and wainscoting appear to be carved of real marble. And yet, Neas could just as easily execute the other kind of trompe l'oeil painting, which is realistic-looking up to a point and meant to fool somebody in a "wink, wink" fashion. This is the kind of painting at which Neas really excelled. 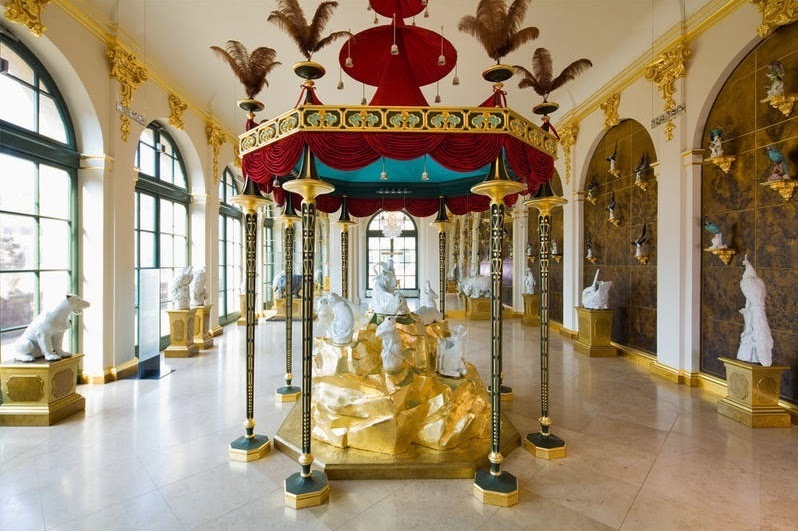 Take, for example, his work in the yellow dining room below. 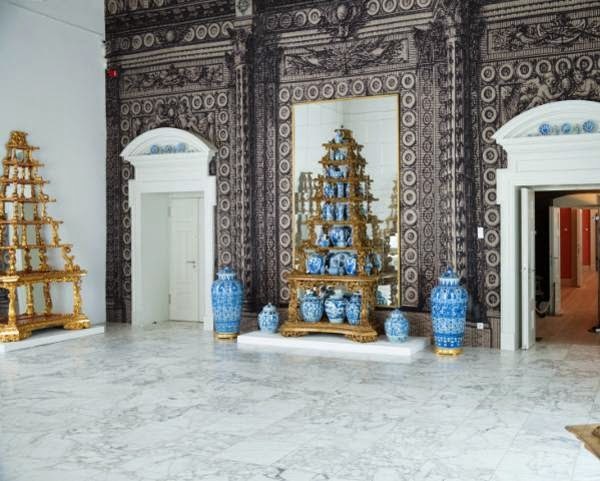 At first glance, one might think the walls are embellished with elaborate treillage and wainscoting. But blink once and look again and one realizes fairly quickly that the trellis, delftware and brackets are really decorative illusions. 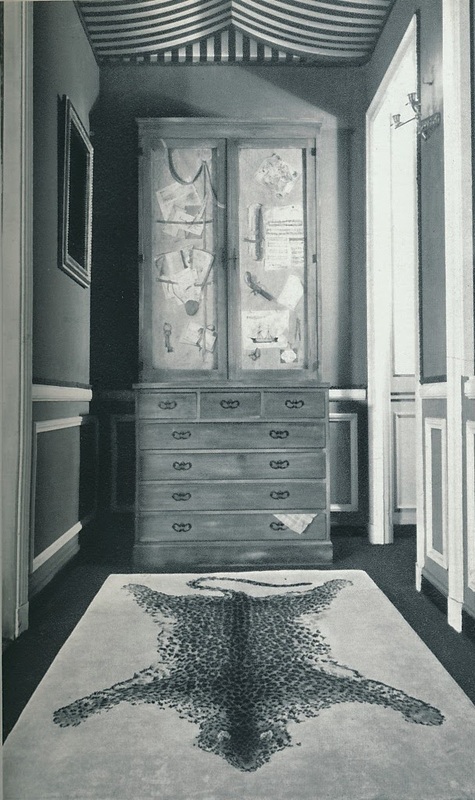 The same goes for another Neas project, which featured cabinet doors painted with faux paintings of the china stored within the cabinet. The value of this kind of decorative painting lies more in its ability to charm rather than to fool. And charm is something that Neas's work had in spades. 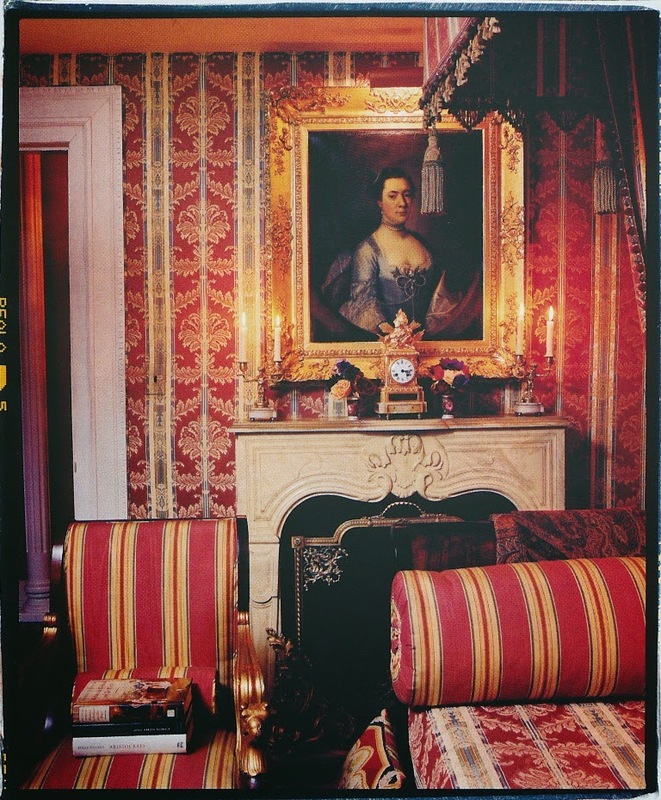 Image at top: Neas's Manhattan apartment, c. 1983, featured a mirrored panel on which Neas painted trompe l'oeil curtains. 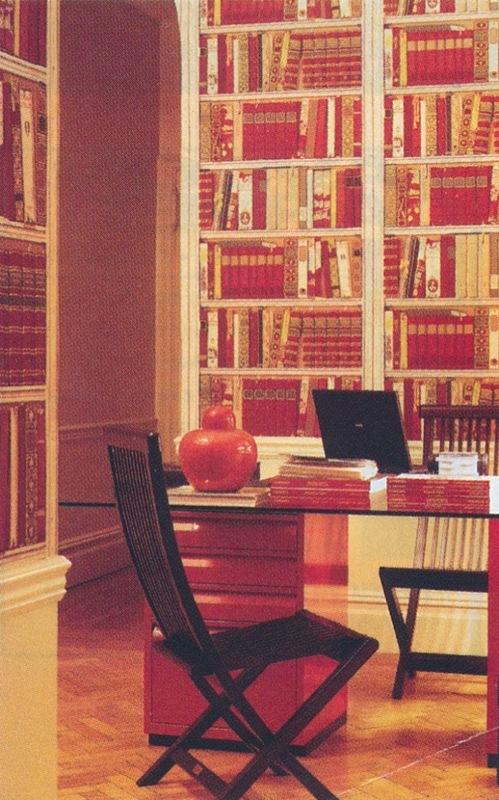 It was Neas who designed Brunschwig & Fils's Bibliotheque wallpaper, one of the all-time classic trompe l'oeil papers. 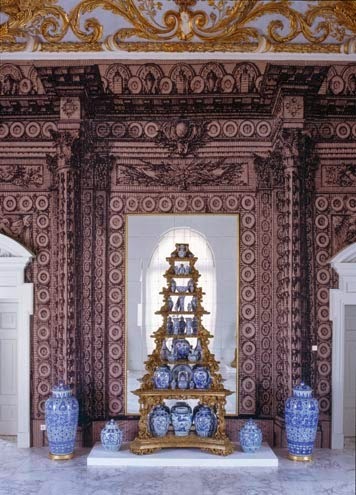 In the Philadelphia dining room of Mr. and Mrs. Ronald Gross, Neas painted the room's treillage, delftware, brackets, and delft-tile fireplace surround in the trompe l'oeil manner. I assume that he was also responsible for the painted floor. 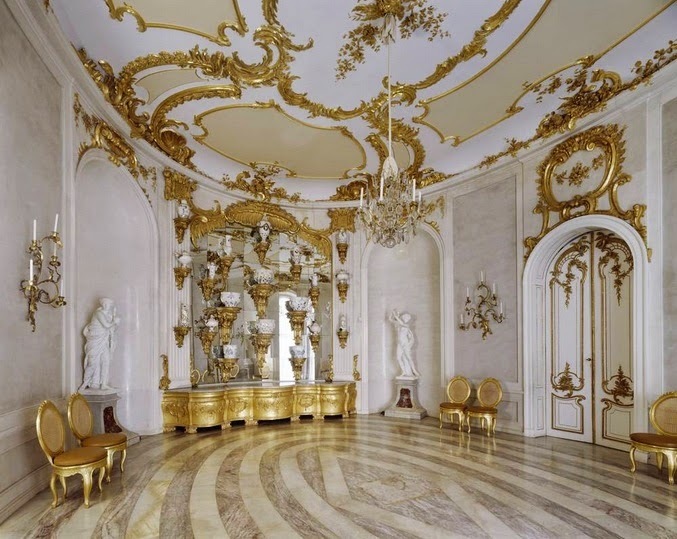 To be frank, I think that the floor was less successful than the room's other decoratively-painted flourishes. 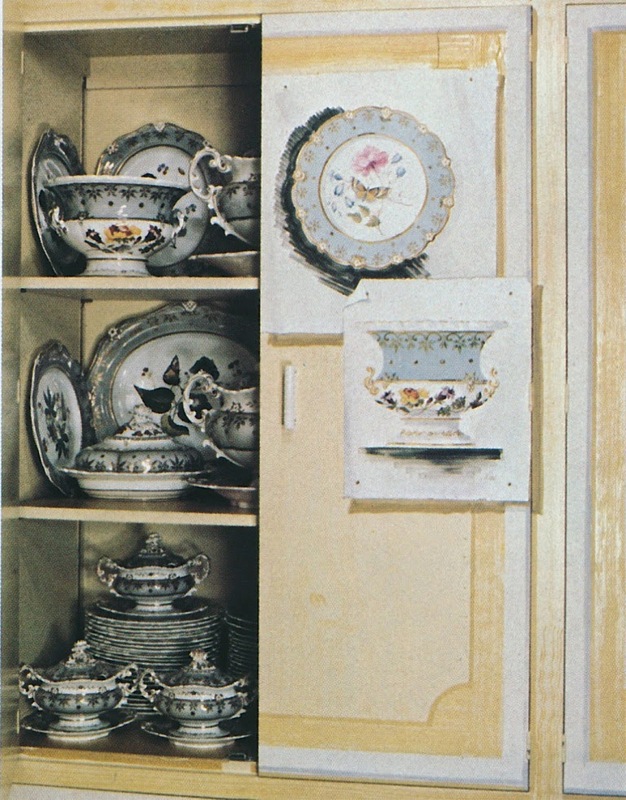 For Mrs. Charles Engelhard, Neas painted the doors of this china cabinet with trompe l'oeil images of her Rockingham china. 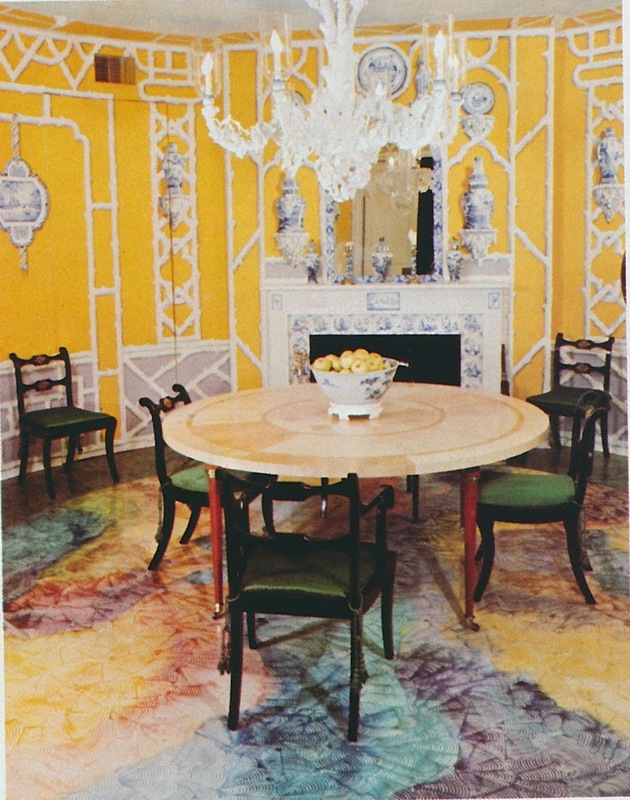 In his own house in France, Neas painted the wood floors to simulate stone. 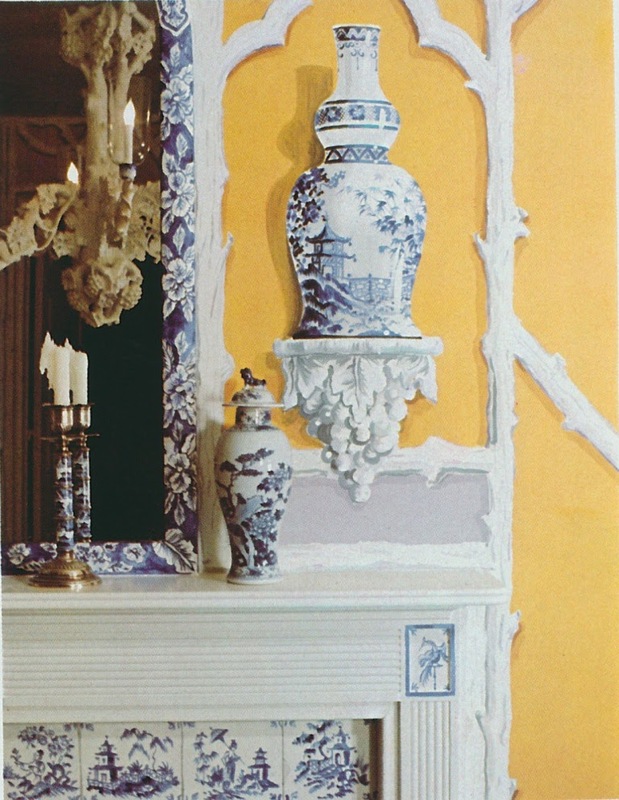 He also painted the chandelier in a delft finish. When I think of the fashion designer Adolfo, I think of my teenage years spent reading W. I devoured each issue (especially Suzy's column) because I couldn't get enough of Nan Kempner, Pat Buckley, Jerome Zipkin, and their see-and-be-seen canteen, Mortimer's, not to mention Donna, Calvin, Ralph, Oscar, Bill, and Adolfo. Back then, we knew fashion designers by their first names. 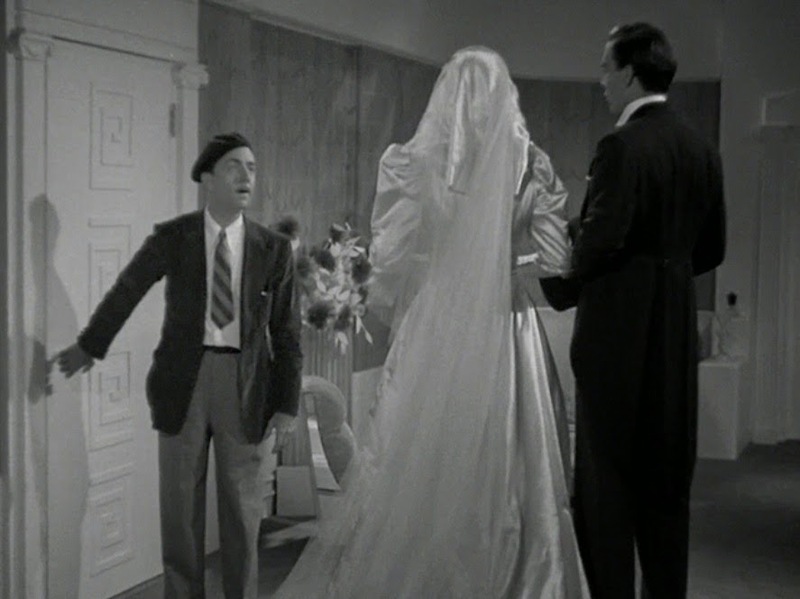 And also back then, it was Adolfo who dressed the society ladies, including C.Z. Guest, Nancy Reagan, and Betsy Bloomingdale. It was a heady time for both fashion and society. 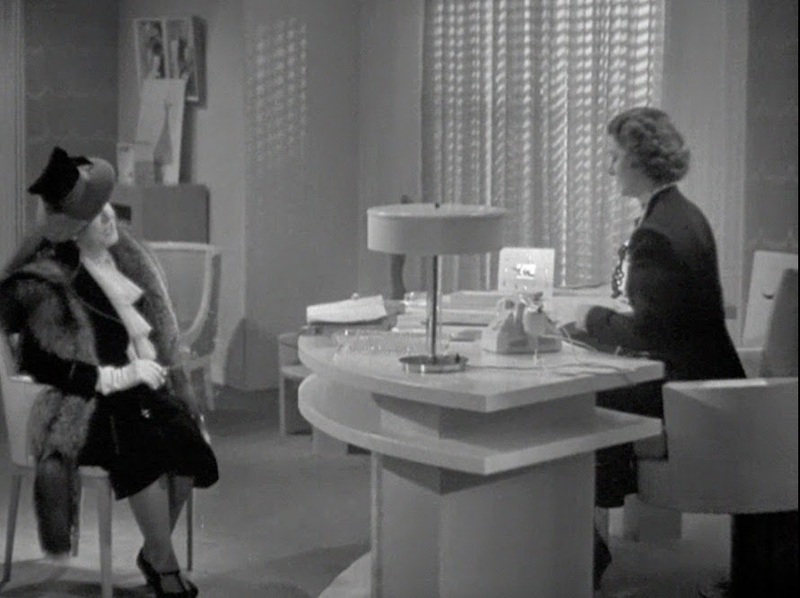 Adolfo may no longer be designing, but his name still conjures up images of ladies clad in elegant dresses and suits and accessorized with stockings and low-heeled pumps. This was, after all, before the days of the high-fashion stripper shoe. But getting back to elegance. 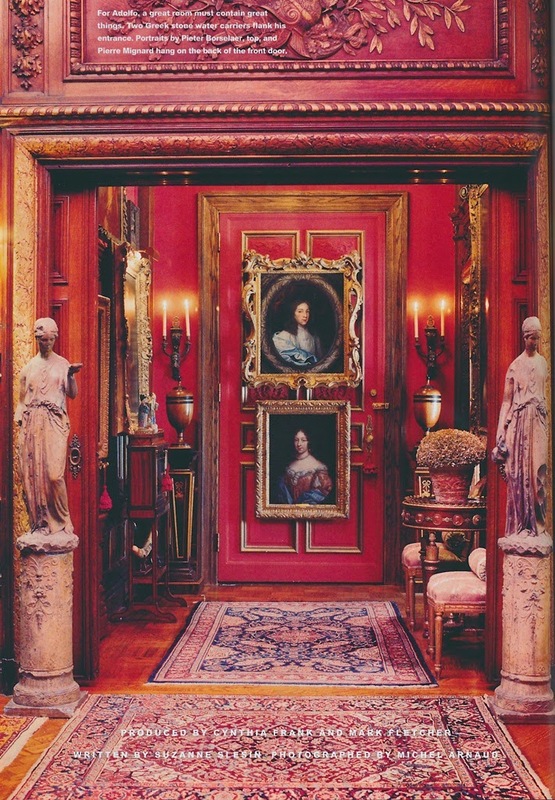 For decades, Adolfo has maintained a resplendent Manhattan duplex in the famed Berwind Mansion. 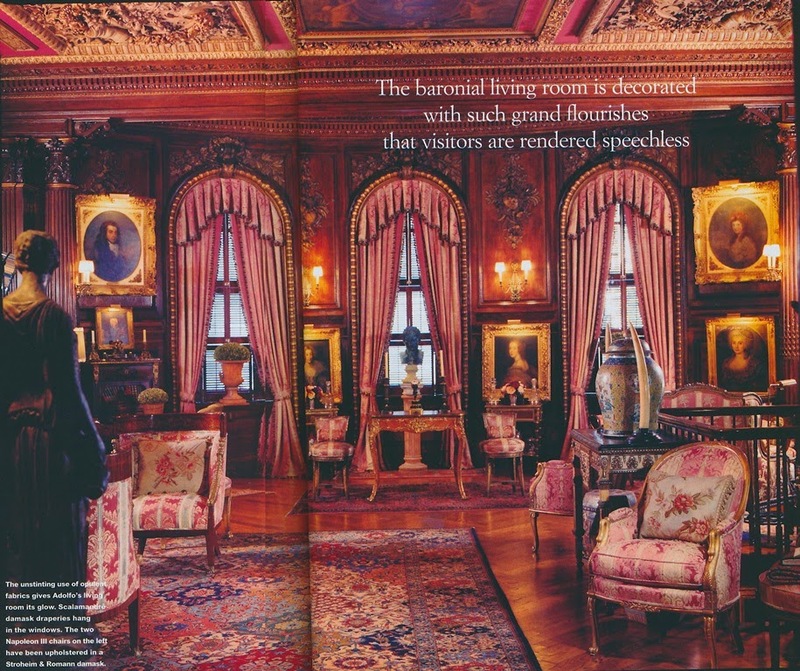 Photographed for House & Garden in 1997, Adolfo's residence is decorated, as the magazine noted, in baronial splendor. 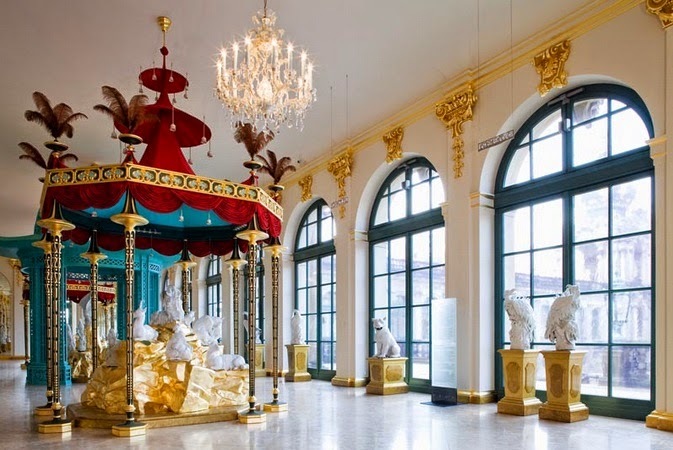 Among the damask and stripes is a notable collection of antique pictures, including portraits of nobility, as well as furniture, whose styles range from Louis XIV to Napoleon III and American Empire. 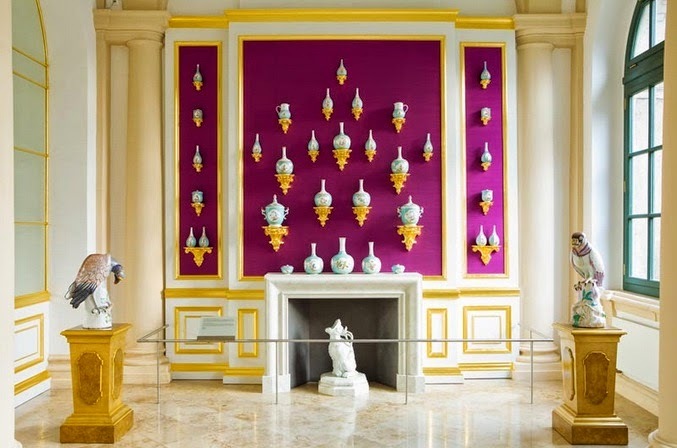 What all of these pieces have in common, though, is that the designer and his late partner, Edward C. Perry, ardently collected them over the years. 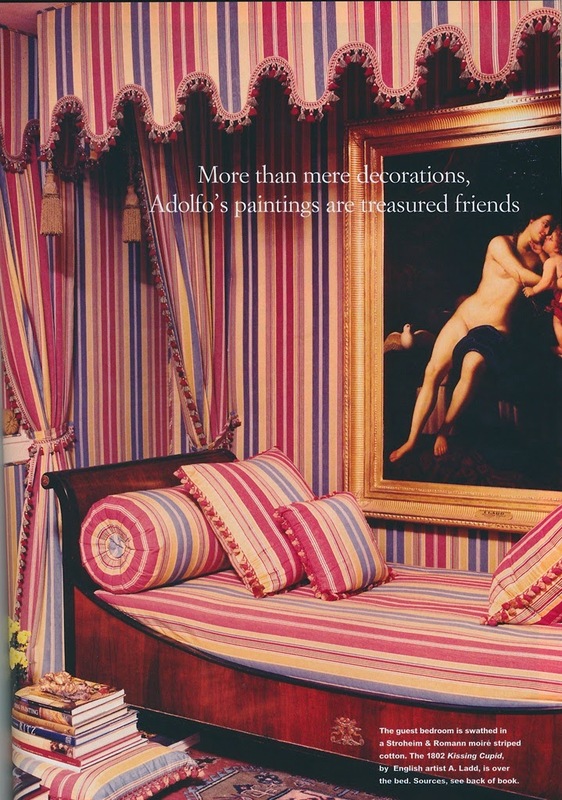 All in all, a supremely elegant home, one that is fit for a supremely elegant designer. .
All interior photos from House & Garden, November 1997, Michel Arnaud photographer. Did you read last week's New York Times article, "Reclaiming Our (Real) Lives from Social Media"? I share the frustration felt by the article's author, Nick Bilton, over time spent- and wasted- on social media. 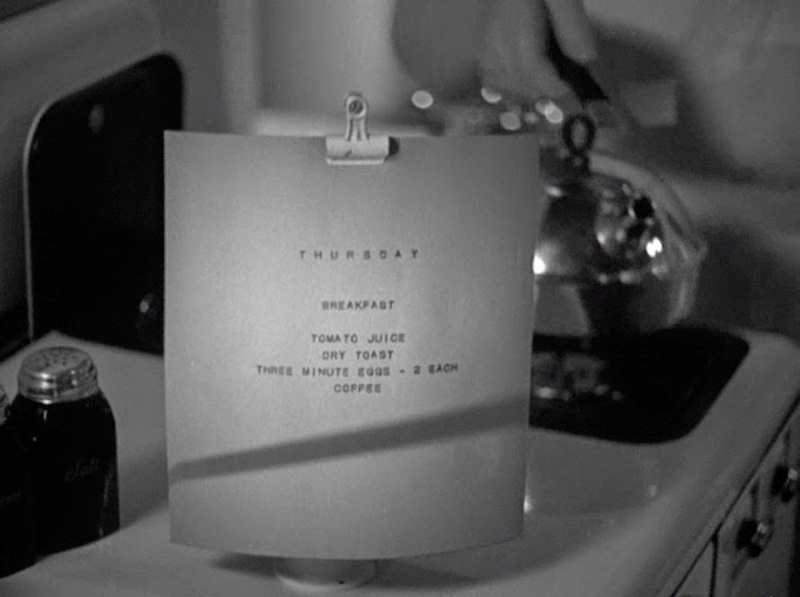 What starts out as a quick morning check-in on Instagram or Facebook turns into an hour-long slog through status updates, sundry thoughts, and links to random websites. As Bilton so aptly put it, "Yet I am blaming the Internet for sucking people into a cacophony of links, videos and pictures that are constantly being dangled in their faces like some sort of demented digital carrot on a stick." Here, here. While I try hard to avoid those labyrinthine visits to social media sites, I have no such qualms about time spent researching on the Internet. Those twists, turns, and tunnels through which such research leads me usually result in my learning about places with which I am not familiar. They also lead me to some really great photos. 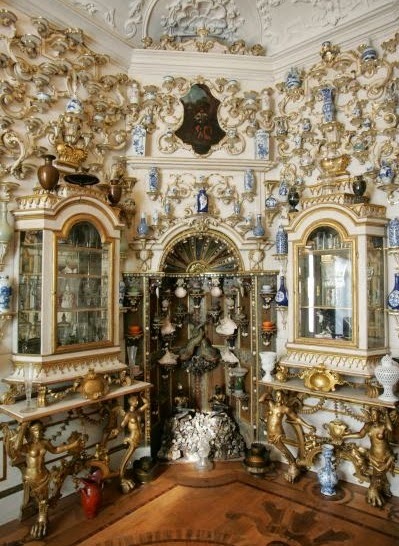 And that was exactly what happened when I recently searched for German and Austrian porcelain rooms. 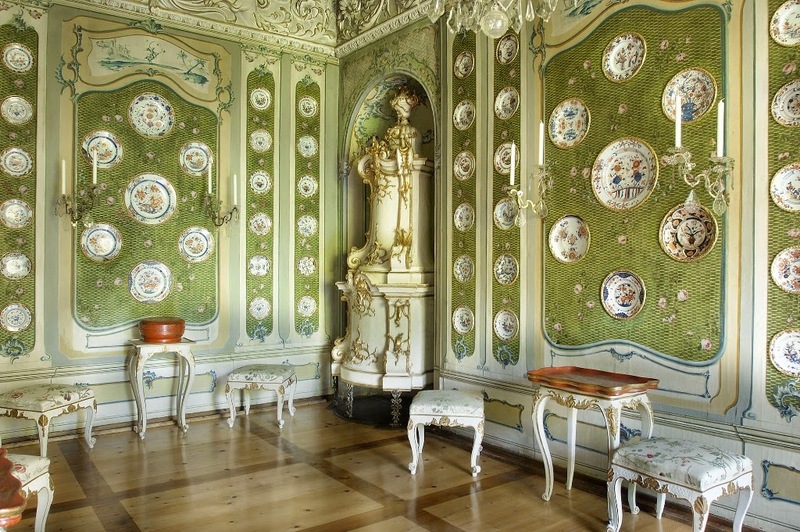 One room led to another, and before I knew it, I had spent close to two hours studying- and coveting- these paeans to porcelain. But whereas I typically leave social media sites with not much to show for it, here I ended up with some beautiful photos, not to mention a bad case of wanderlust. 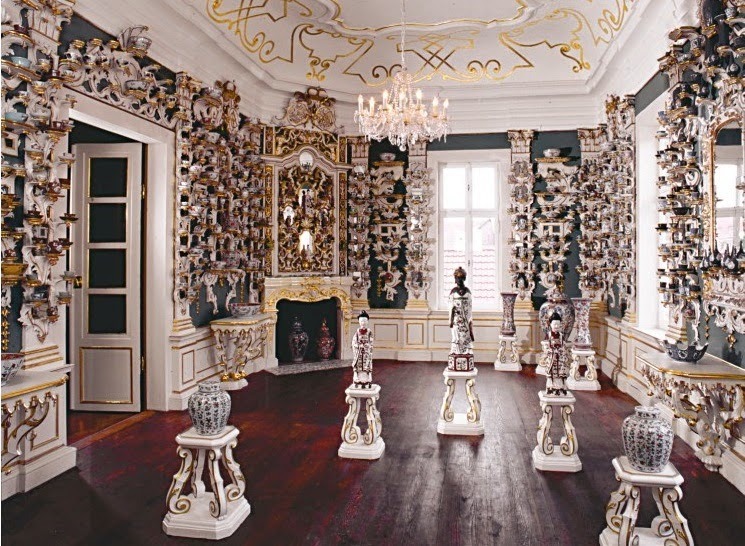 Porcelain Collection at Zwinger Palace, Dresden, Germany; the design of the porcelain galleries was the handiwork of Peter Marino. 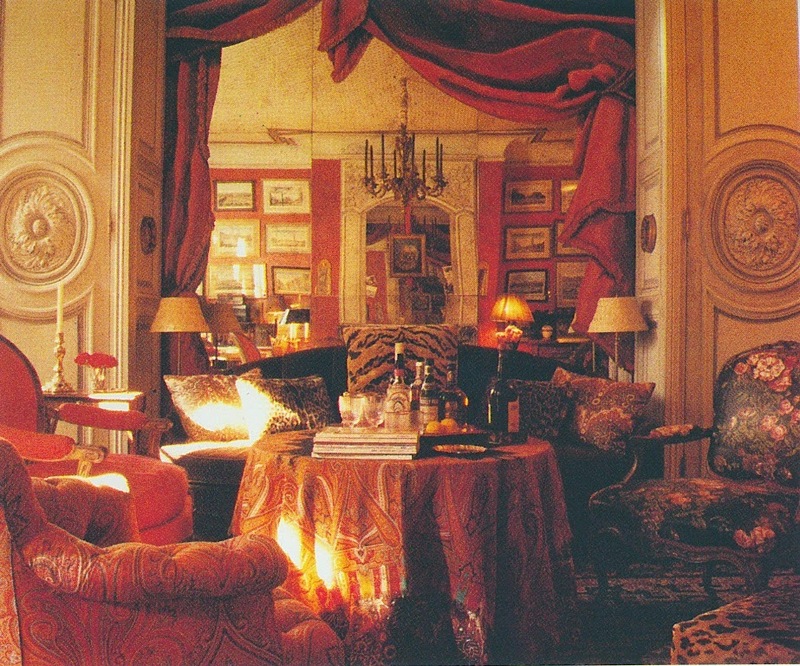 These trompe l'oeil-style leopard rugs fascinate me because I've always been curious of their origins. Could they have been inspired by the now highly-collectible Tibetan Tiger Rugs? 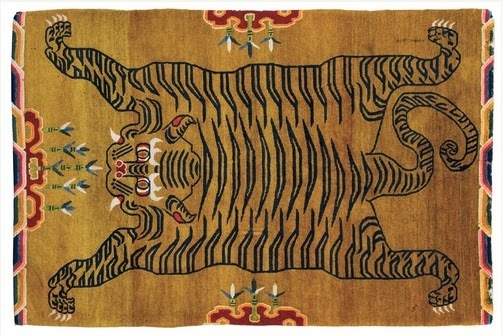 Tiger rugs, whose designs feature simulated tiger pelts, hail from Tibet, where the large cats and their skins have long symbolized power. 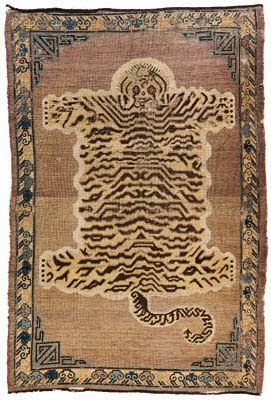 Tiger rugs were traditionally given as gifts to lamas, who did their Tantric meditations on them. Little was known about these rugs until the latter part of the twentieth century, so perhaps their existence was not widely enough known to have been a contributing factor in the design of those 1930s-era faux leopard rugs. 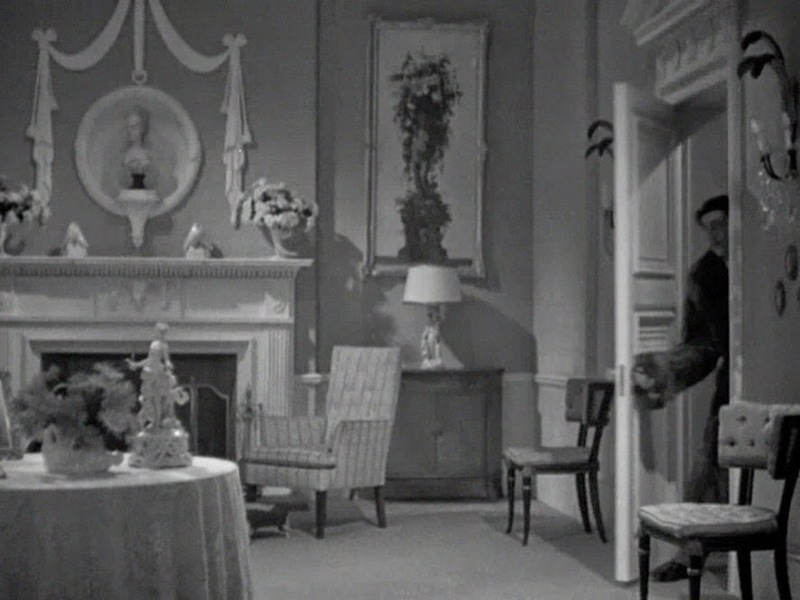 And of course, I do realize that the Tibetan rugs feature tiger pelts while the Beaton and Battersby rugs depict leopard skins, but the stylized images of their pelts are rather similar. 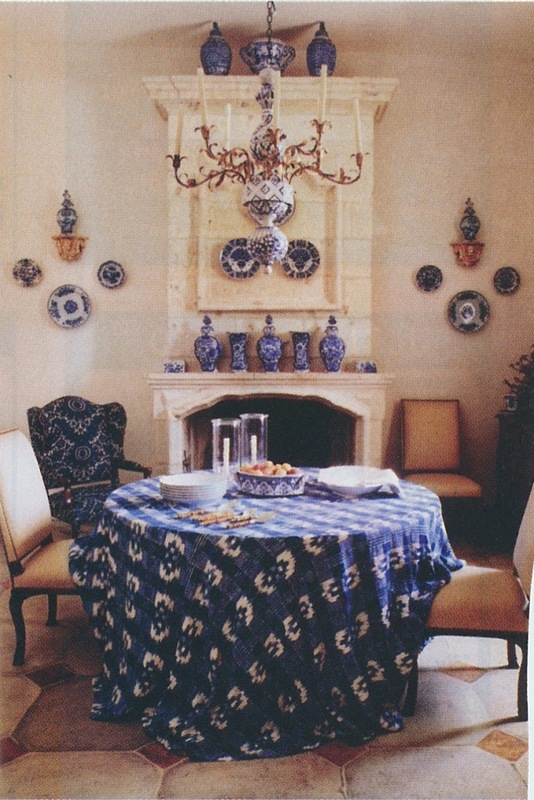 By the 1960s, it was Piero Fornasetti's faux leopard pelt rug that was all the rage, gracing the floors of some swank European residences. 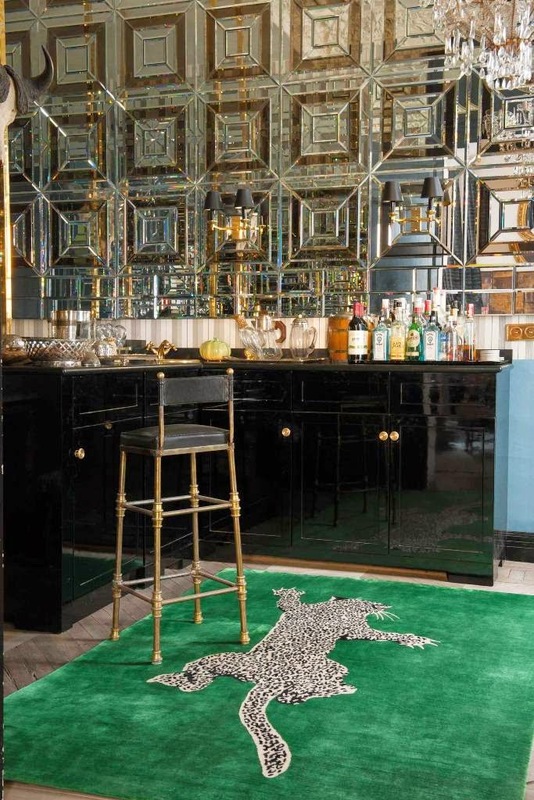 And the stylized leopard skin rug is still going strong today, as evidenced by Diane von Furstenberg's "Climbing Leopard" rug design for The Rug Company. 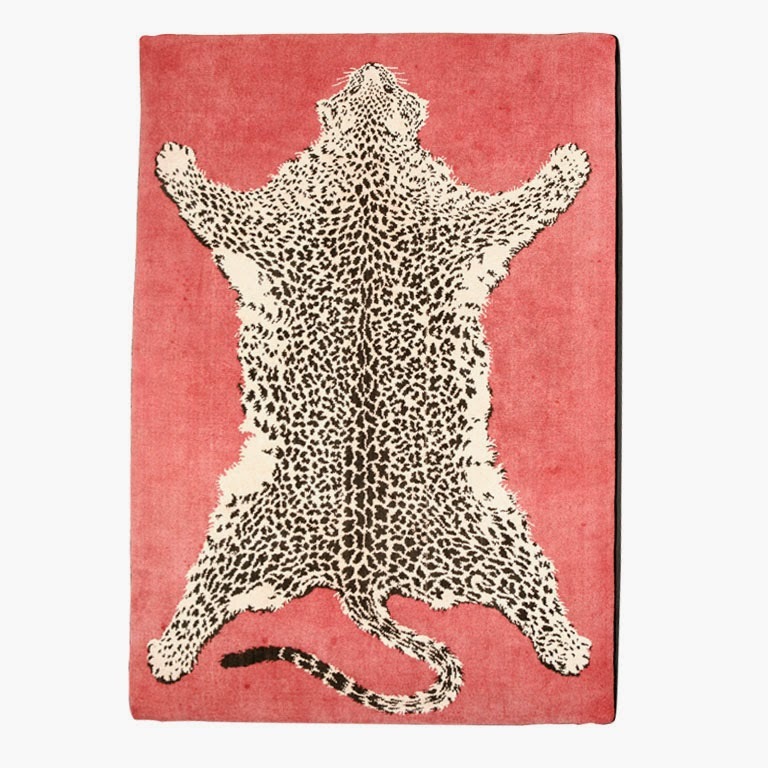 But still I wonder, just who created the vogue for these chic and amusing leopard rugs? Images at top: You'll find two examples of Tibetan Tiger Rugs above. The top photo shows a 19th-century Khotan Tiger Rug from Turkestan, while the second image is of an early 20th-century Tibetan rug. 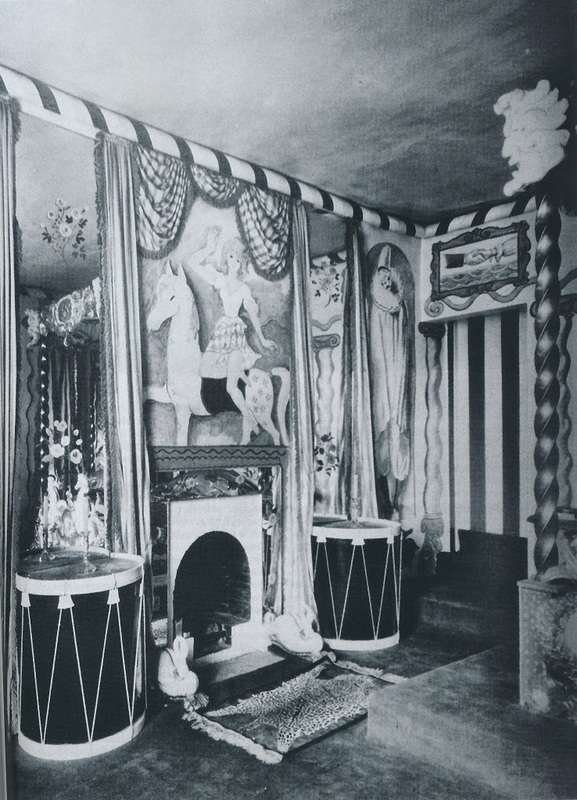 Cecil Beaton's Circus Bedroom was decorated with murals painted by the likes of Rex Whistler and Oliver Messel, drum side tables, and a leopard-pelt motif rug. 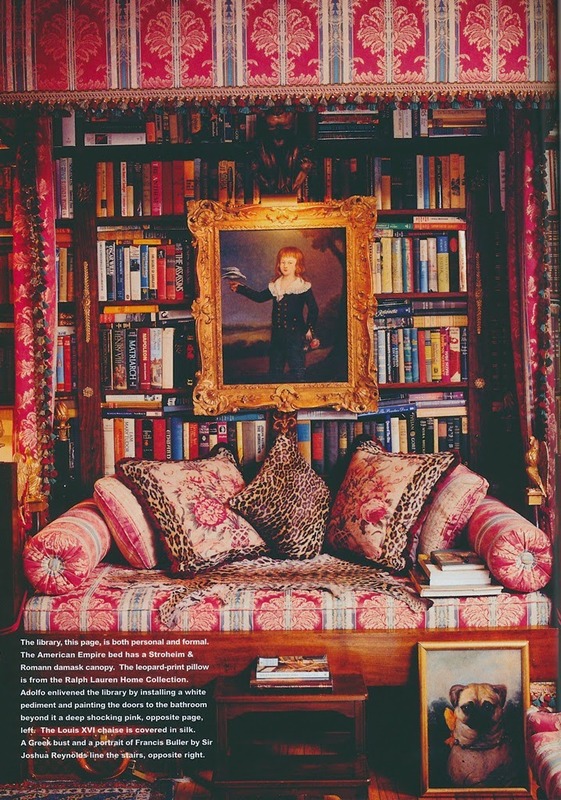 Amongst this grouping of Syrie Maugham-designed furniture, Martin Battersby, author of The Decorative Thirties, placed a stylized leopard rug. Unfortunately, he made no mention of it in the book's text. 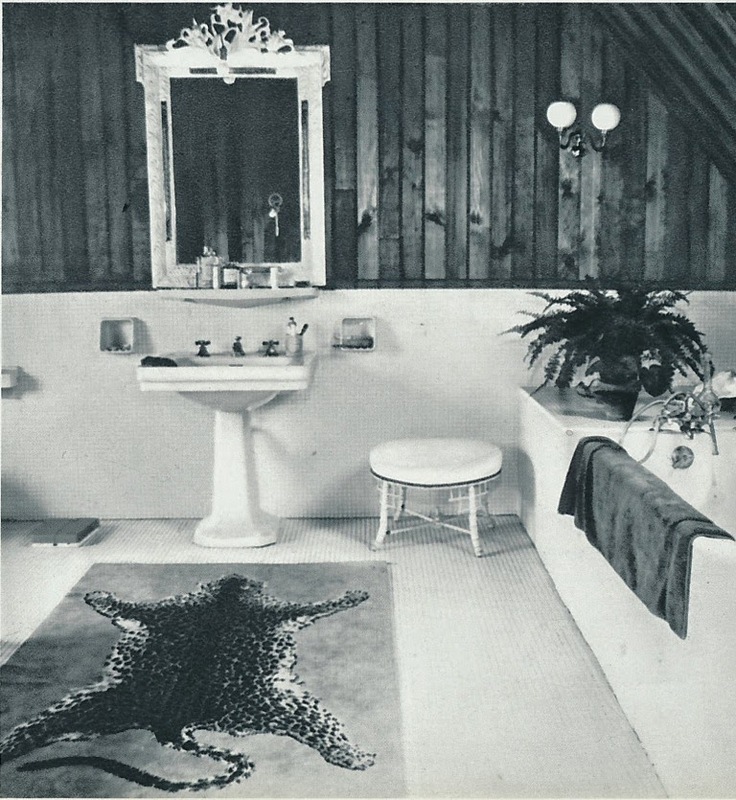 By the 1960s, Fornasetti's leopard style rug could be found in stylish halls and baths, for example. 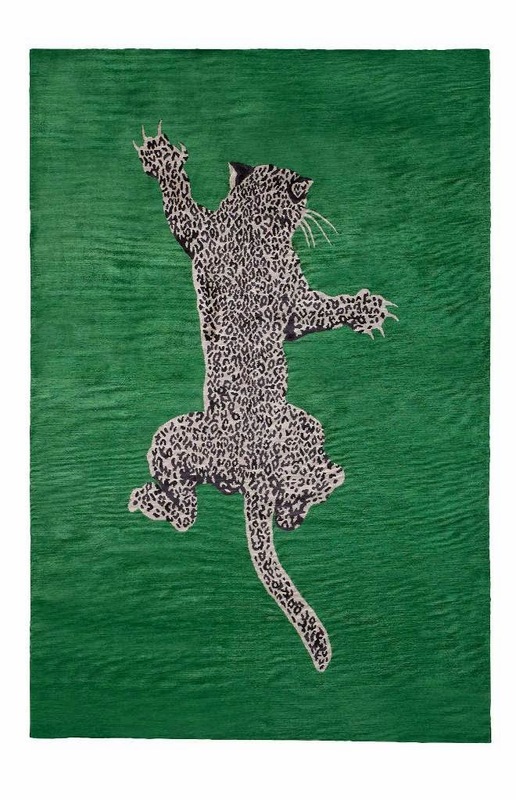 And most recently, Diane von Furstenberg designed "Climbing Leopard" for The Rug Company. 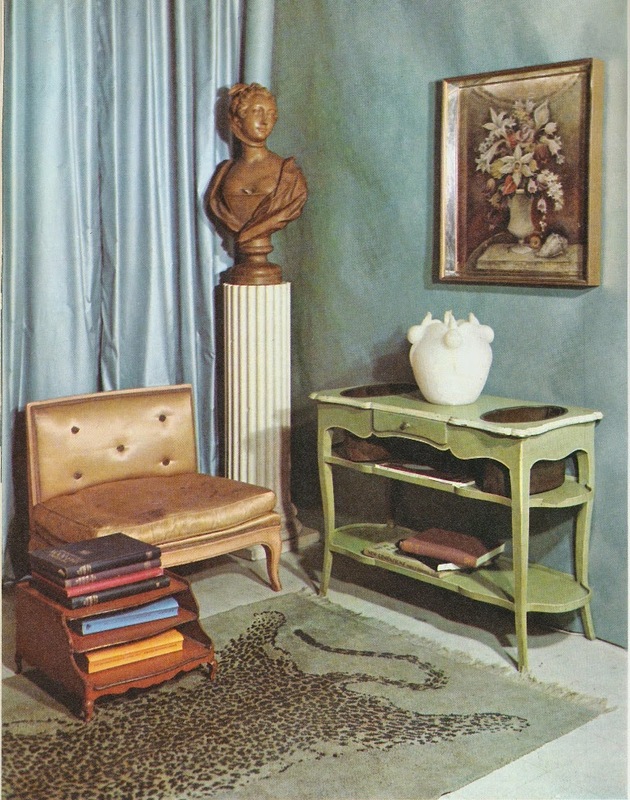 Beaton image, World of Interiors, July 2014; Battersby photo from The Decorative Thirties; Fornasetti rug photos from Nouvelles réussites de la décoration française, 1960-1966; Climbing Leopard photos courtesy of The Rug Company. Speaking of this Martin Battersby photo of various Syrie Maugham-designed pieces, F.P. 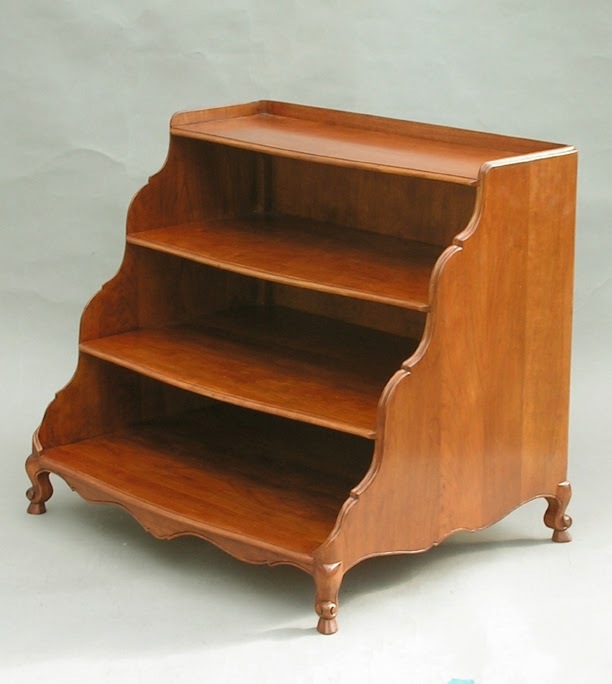 Victoria & Son is currently having a floor model sale, which includes models of pieces that were originally made by Frederick Victoria for Maugham and Elsie de Wolfe. 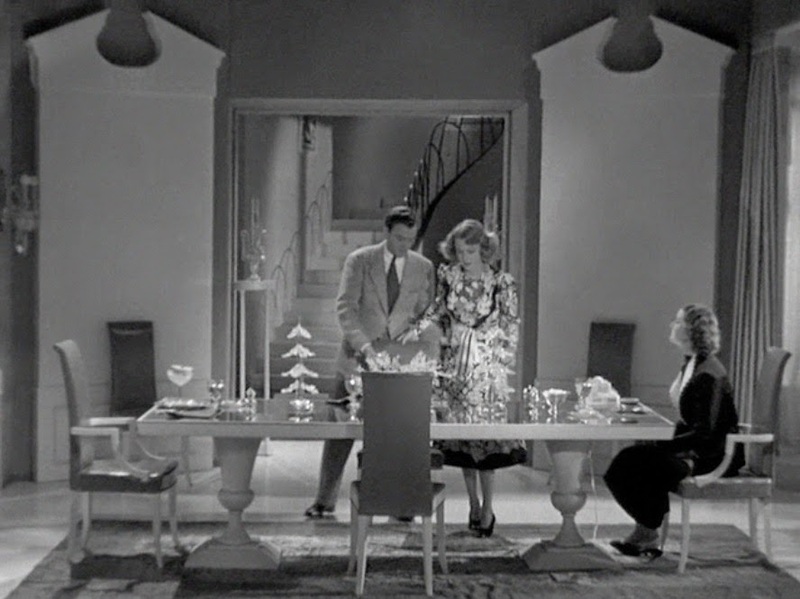 Models include the Syrie Maugham Magazine Table, which is a slightly taller variation of the table featured in the Battersby photo, and the De Wolfe Muffin Table, a satin nickel and parchment occasional table that would work well underneath a chilled Martini. 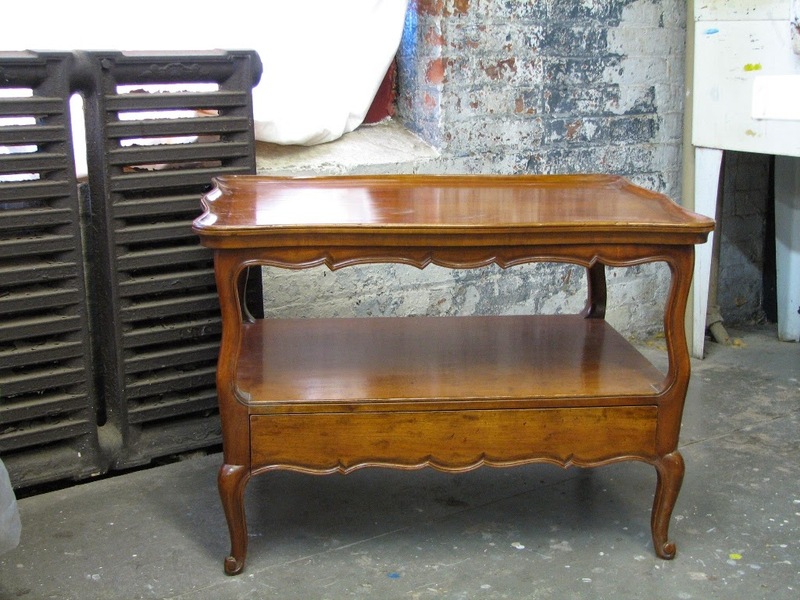 The sale also features a few models that don't carry the Maugham or de Wolfe moniker, but which are equally as chic. The sale only runs until the end of this month, so visit Victoria & Son's website ASAP to claim your piece of design history. For more information, please visit their website or contact Freddy or Tony Victoria at (718) 392-9651. Syrie Maugham Magazine Table. 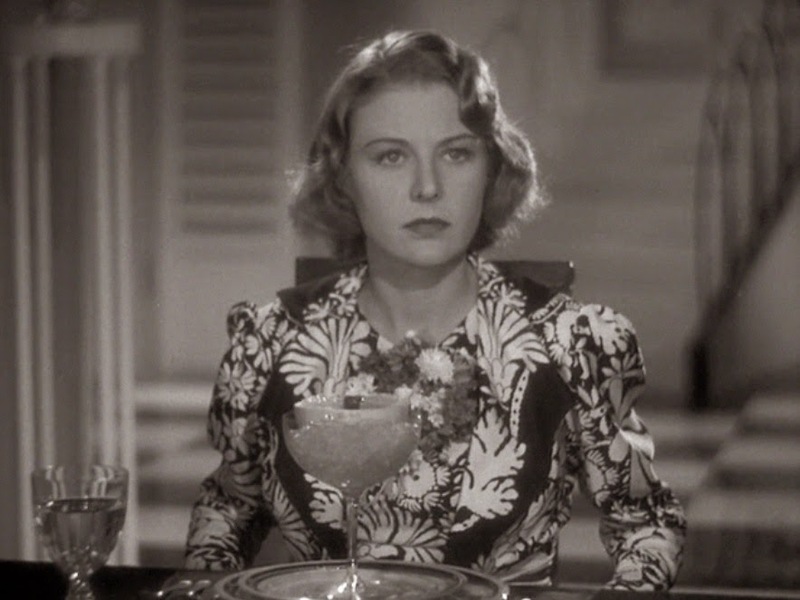 The table, which was based on a English Regency piece, was adapted by Frederick Victoria for Syrie Maugham. 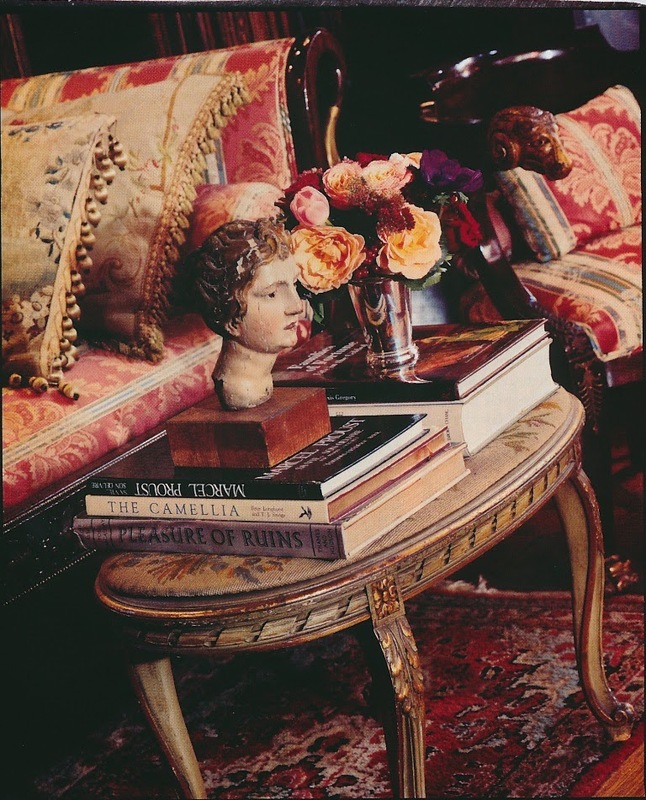 Syrie Maugham Coffee Table, whose design was originally developed by F.P. Victoria for the designer during the 1940s. De Wolfe Muffin Table. 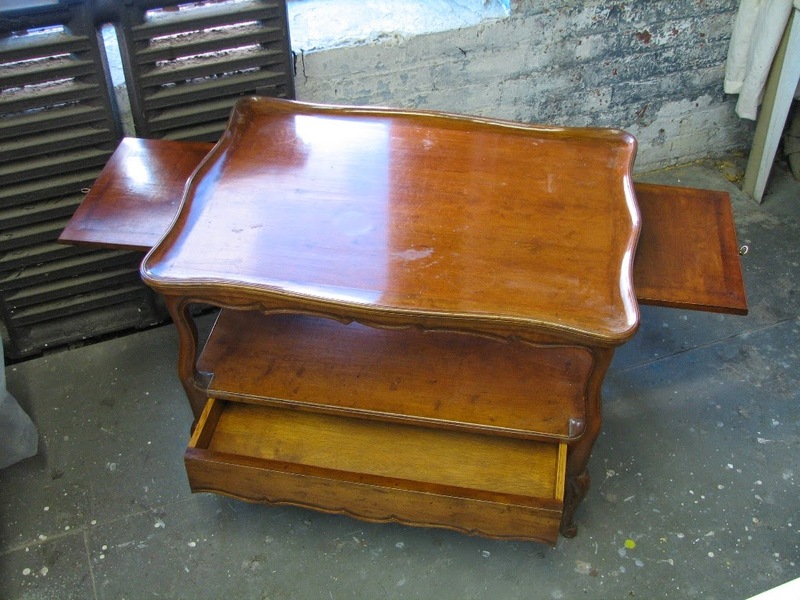 According to Freddy Victoria, de Wolfe saw the prototype of this table, which was brass with red leather tops, when she visited Frederick Victoria's showroom. 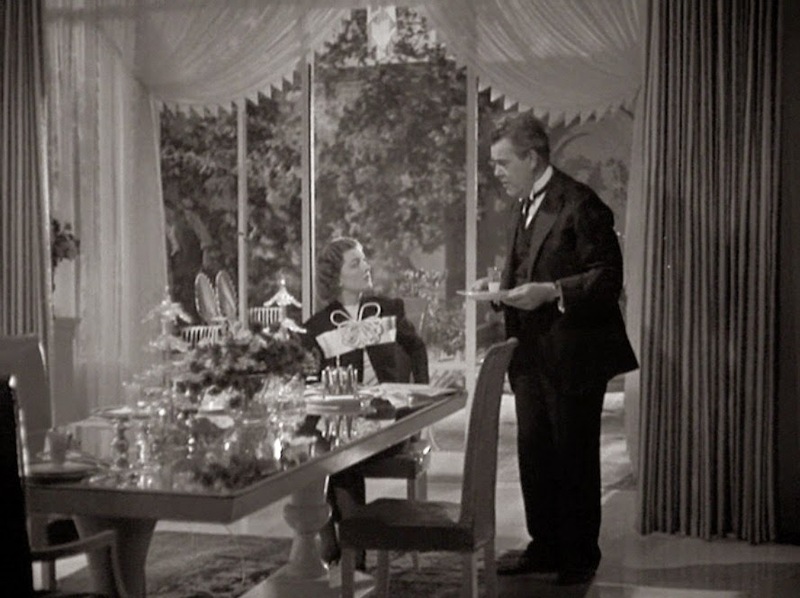 De Wolfe was desperate to buy the table, but Victoria would not sell it to her. Later, she sent Victoria a letter asking for the table and included a sketch of where she intended to use it. Victoria eventually made her a copy of the table. 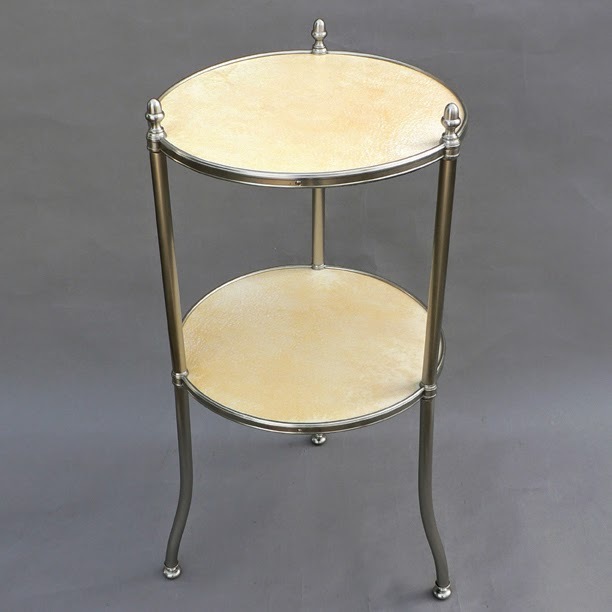 Polished Nickel Cole Porter Table. 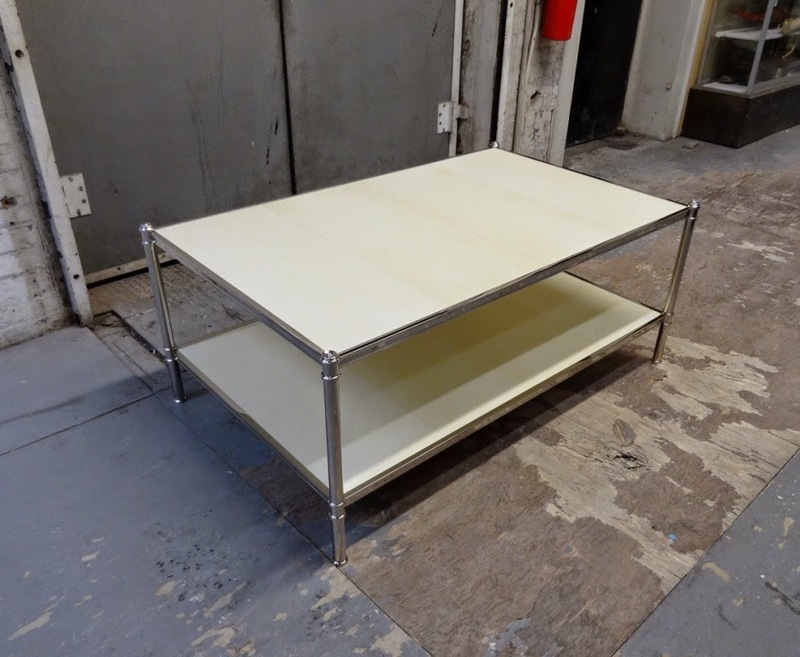 Freddy's father, Tony, adapted this table from the firm's famous étagère design for Billy Baldwin. When I'm getting dressed in the mornings, it's not CNN nor the morning talk shows that I watch on TV. (Does anyone else get annoyed with those CNN anchors who constantly interrupt and talk over the person being interviewed? And why do commercials have to be so LOUD?) 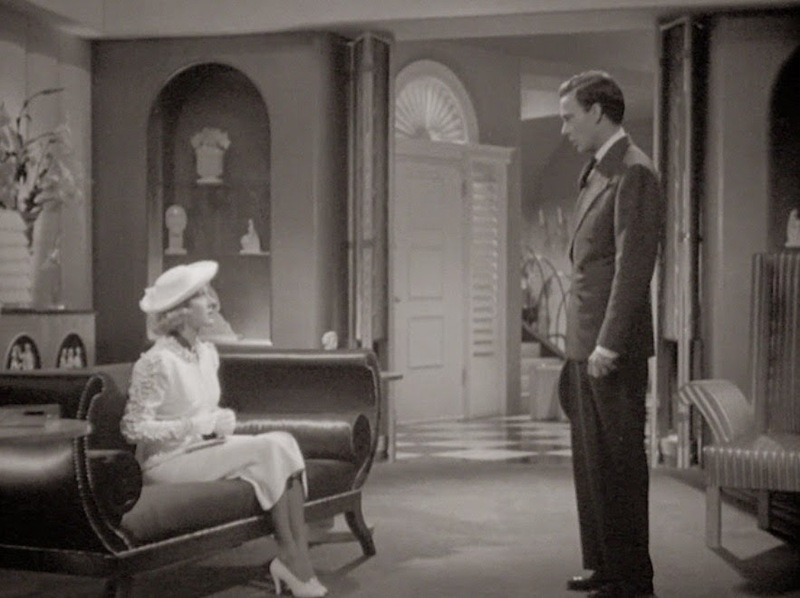 Instead, I like to have Turner Classics going in the background, because the channel often airs 1930s-era movies early in the morning. 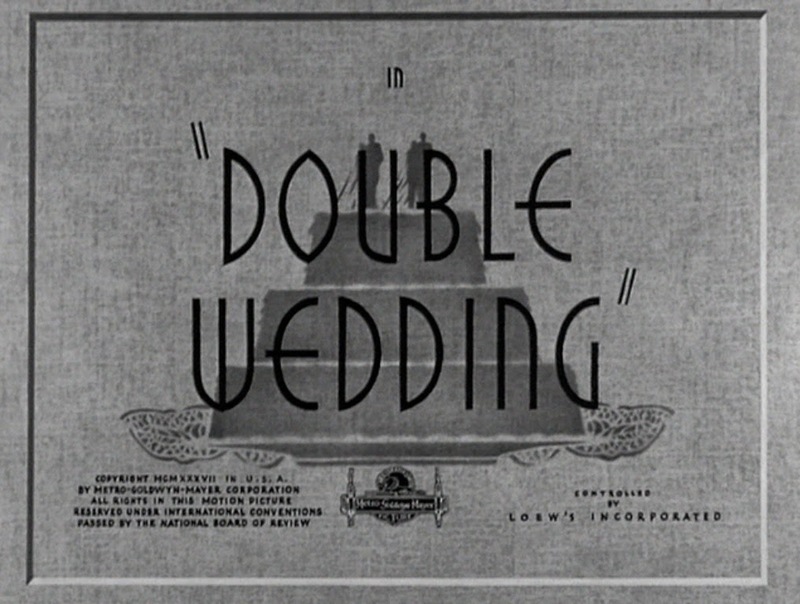 Just last week, TCM showed Double Wedding, a 1937 screwball comedy starring Myrna Loy and William Powell. 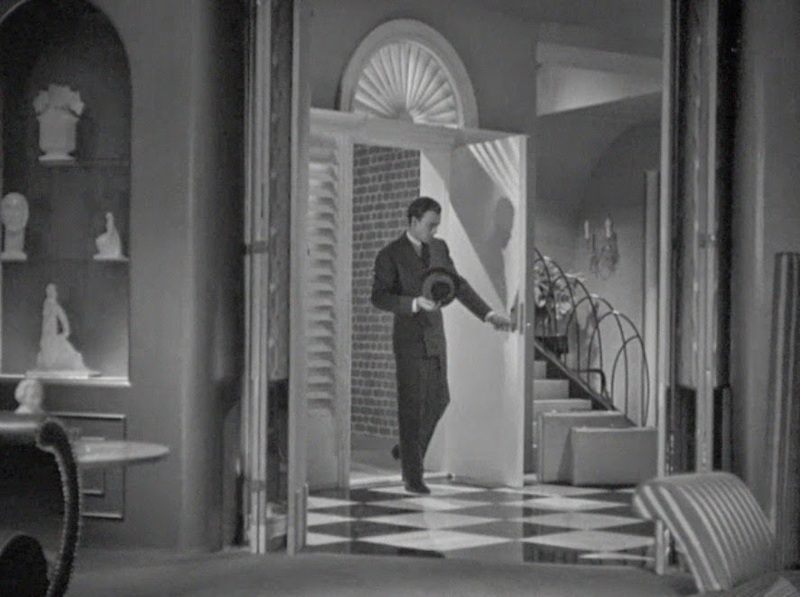 ...which had that wonderful staccato black and white floor. 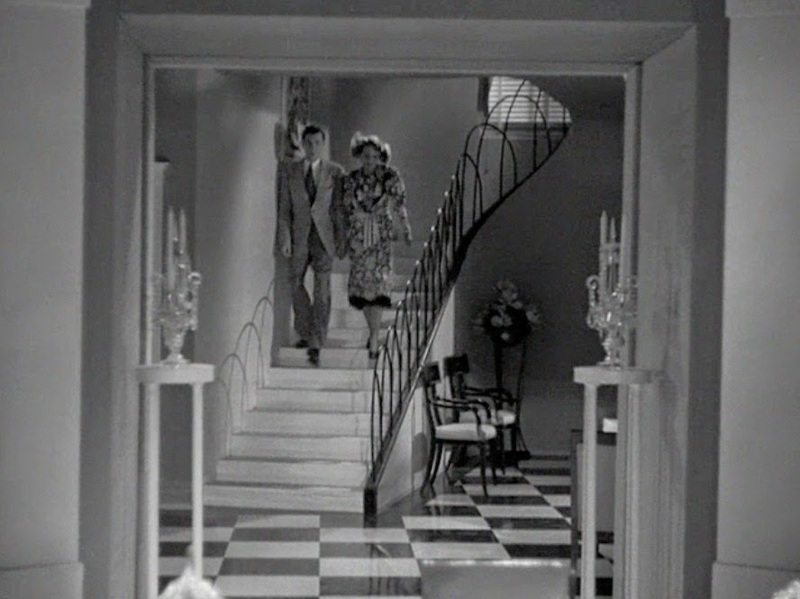 The stairs had quite a loopy banister, which resembled a garden border fence. 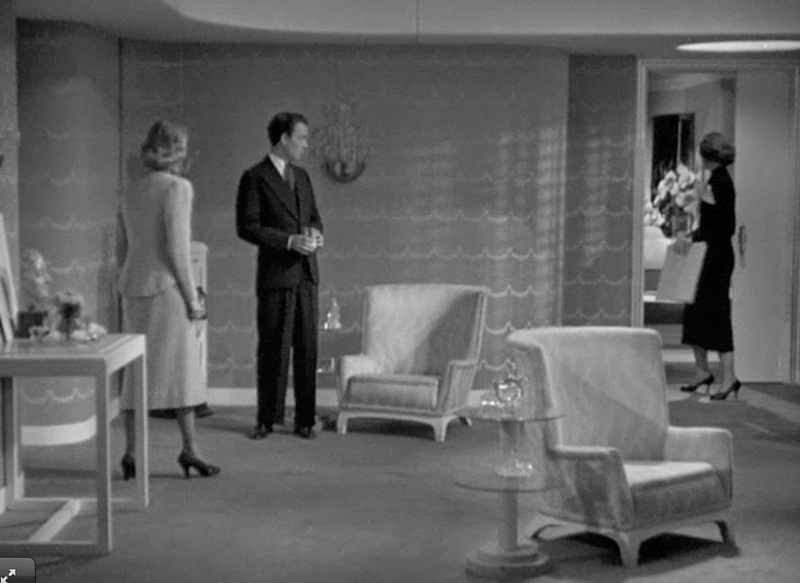 Blanc de chine objects and glossy satin upholstery, seen here in the living room, were of course the rage on 1930s-era film sets. ...which makes sense considering that even the breakfast grapefruit was served rather formally. 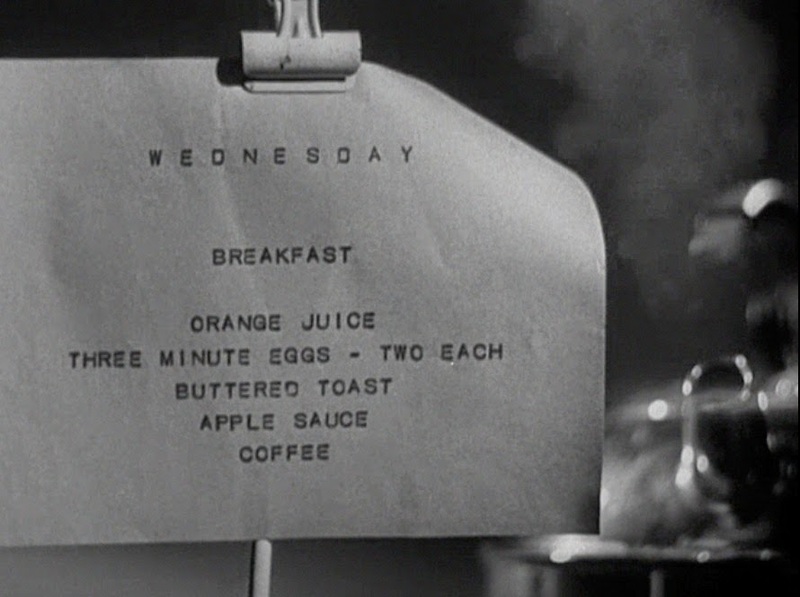 Margit was a little uptight and liked order in her household- order that was partially maintained by these typed breakfast menus. ...whose jagged edges were mimicked by the border fence. 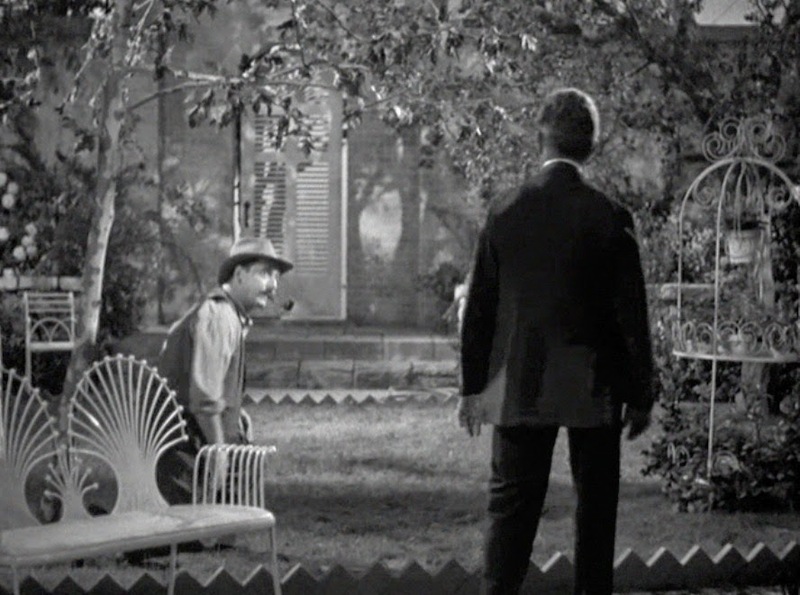 And don't you like the curlicue furniture? 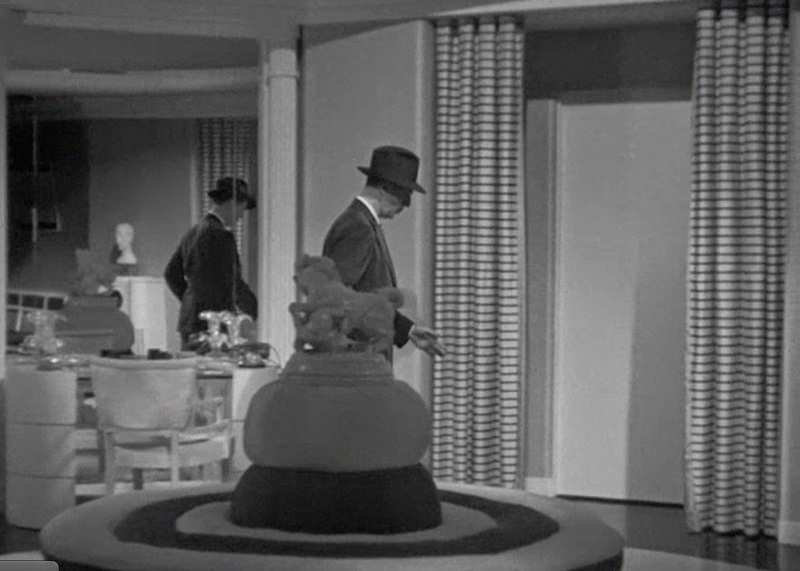 The four photos above show Margit's fashion studio, which was quite glamorous with its white-lacquered furniture, horse statue-capped borne, garland-print wallpaper, and those magnificent Greek-Key motif doors. The bonus shots show a minor character's apartment, which I might like even more than Margit's house. 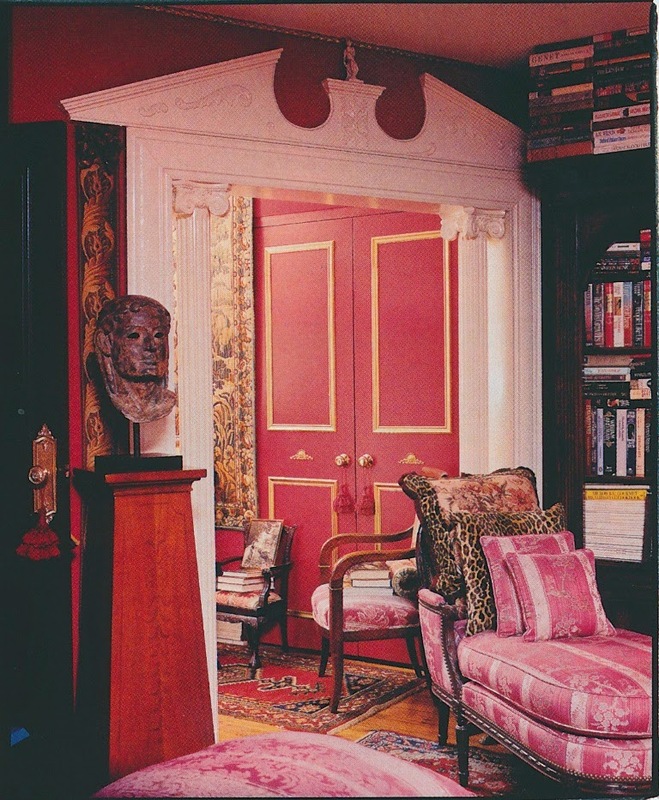 I'm crazy for the living room's plaster swag and tail, which framed the Marie Antoinette-ish bust. 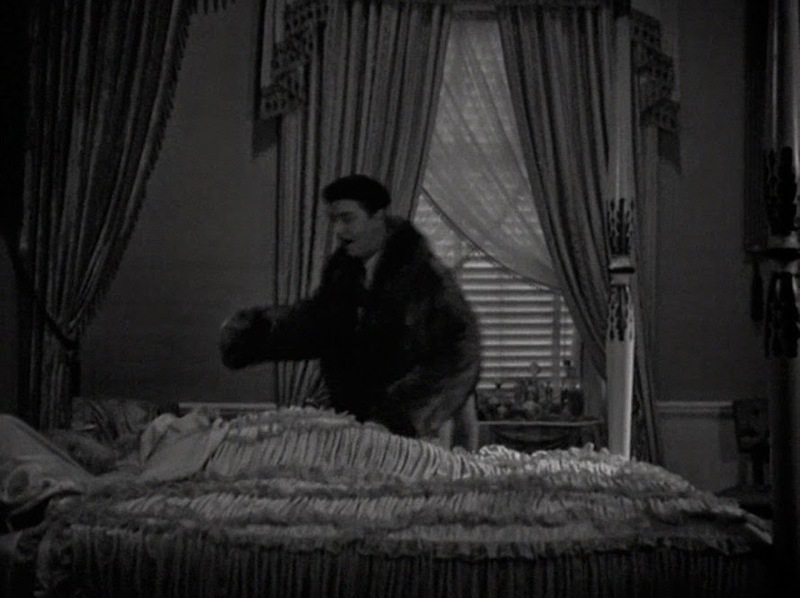 But the poor woman's bedspread?? I'm not so crazy about that. It reminds me of Austrian shades.